Yoga, Reiki, and shamanic practices are healing on many levels. Join me for a workshop so you can access this healing in a way that is personally authentic and empowering. These events are scheduled regularly at True North Yoga’s studios in Schroon Lake and Keene Valley, New York. If you would like to host one of these workshops at your location, contact me. Restorative Yoga, Reiki, and Yoga Nidra all bring your body into a state of deep relaxation which reduces the effects of stress on the body. In that state, healing is initiated on physical, emotional and energetic levels. 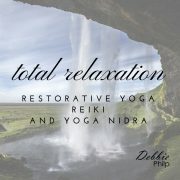 During a 2-hour Restorative Yoga, Reiki and Yoga Nidra workshop, you will experience all three. While supported in gentle poses with bolsters and blankets, I offer you light-touch Reiki energy to help you release tightness, tension, and held feelings. The final 30 minutes are reserved for Yoga Nidra, a guided progressive relaxation and visualization for further transformation. Participation is limited to six so I can ensure you receive a nice amount of direct Reiki energy and these workshops often sell out early, so advanced registration is required. Perfect for all levels of yoga practice and generally safe and supportivie when you are recovering from injury, illness, most medical treatments, or surgery. 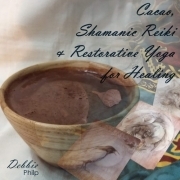 During a 3-hour ritual of self-care, you will gather around a shamanic altar to experience the heart-softening of ceremonial cacao, a raw chocolate drink with uplifting and medicinal properties. Within a state of gently expanded consciousness, you will access the deep inner wisdom and healing that is available to you through restful restorative yoga, hands-on Shamanic Reiki, shamanic journeying, breathwork, drumming, and song. No experience in yoga or shamanism is necessary. This intimate event is limited to 8 participants and advanced registration is required. Chandra Namaskar, or the Moon Salutation, is a physical, psychological, and spiritual counterbalance to the Sun Salutation. 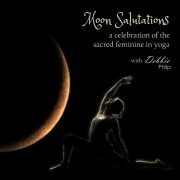 The Moon Salutation enacts the journey of descent – sinking into the depths to discover one’s innate creative power – and honors the sacred feminine in the practice of yoga. During the 2-hour Moon Salutation practice, you will explore the circular flow of the traditional yoga lunar dance as well as moon salutation variations and the stillness of long-held yin yoga poses. Moon salutations invite deep opening in the hips, a loving awareness of your womb space, an emotional release, and an energetic lightening that ignites your intuition. You will benefit from enhanced creativity in your work and life, greater compassion for yourself and others, and an expansion of your inner wisdom. Modifications and propping make this practice accessible to yogis of all levels of experience. Put down that Chakra book and join me for a fun, dynamic and embodied Chakra practice to feel the seven major energy centers! During this 2-hour workshop you’ll experience a free-flowing vinyasa practice intertwined with somatic movement exercises that give you a fitness-promoting workout while moving energy up through your Chakras, invoking a deep connection with spirit and a blissful savasana. 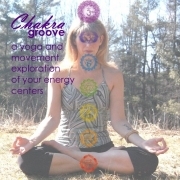 You’ll stomp, swing, and laugh as you discover your energetic body, bringing awareness and energy into each of the seven major Chakras so you can experience the “wheels” in your body in an understandable and relatable way. This is an active practice that can be modified for all levels of yoga experience. Beginners, please come prepared to rest often. Bring a water bottle and dress in layers for movement and meditation. 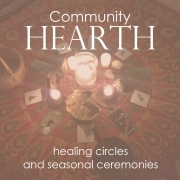 The Community HEARTH and Healing Circles gather local energy and holistic healers to give and receive healing energy in mutual support and to lift up the community and the Earth for the highest good of all. These HEARTH circles, held monthly and alternating between True North Yoga‘s Schroon Lake and Keene Valley studios, are an opportunity to explore or practice healing energy modalities. The independent gathering is part of an expanding circle of HEARTHs supporting the Olympic Mountain EarthWisdom Circle‘s (OMEC) mission to reconnect with the deep mystery, encourage a sacred and responsible relationship with the Earth, and preserve the ancient wisdom ways of indigenous people and ancestral lands through local community experiences. Healing Circles begin with time to connect socially, then we gather for sharing and meditation before dividing up to give and receive healing energy. At the close we will come back into circle to send energy where it is needed and enjoy refreshments. You will receive energy for self-care and healing, practice transmitting healing energy for others, and feel supported in like-minded community. You do not need to be attuned to Reiki or another energy modality to participate, and all are welcome to fully participate in the HEARTH Healing Circle. Other seasonal HEARTH ceremonies to benefit OMEC include Dream Boxes for the New Year, Burning of the Greens, Spring Equinox potluck and flower mandala creation, and Notes to the Dead. There is no charge for HEARTH circles and ceremonies. 70% of donations received are shared with OMEC to support their work. Registration is not necessary, but you can RSVP on True North Yoga’s homepage. 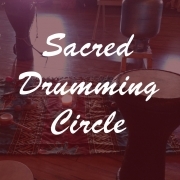 Sacred Drumming Cirlces are a fun, family-friendly community event. We empower each other in the act of celebrating our connection and the Earth’s seasons through rhythm and music. You are invited to share your rhythmical spirit with whatever drums or percussion you bring to the event as we welcome the transition to each new season. You do not have to be a drummer to participate. Everyone has something to offer the circle, and all are welcome. Our drum circle is created “in the moment” by all the participants, through cooperation and collaboration. As we drum together, we give ourselves a rhythmical massage and an emotional release. The experience is unique to each person in the circle, and it happens whether you are drumming, tapping your feet or clapping along, or simply sitting and listening. Sacred Drumming Circles are held at True North Yoga in Schroon Lake on the Saturday closest to the first full moon after the solstices and equinoxes which mark the change of seasons. There are often spare drums and rattles available to borrow. This is a free event. 70% of donations received are shared with Pachamama Alliance to support their mission to generate a critical mass of conscious commitment that can create a sustainable future that works for all. Registration is not necessary, but you can RSVP for the event on True North Yoga’s homepage.